October 5th was pretty chill. 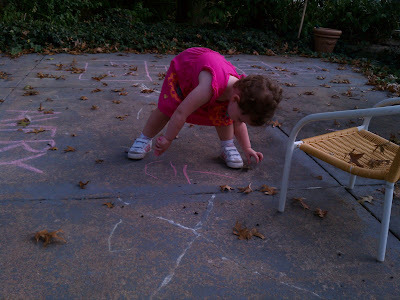 While Mom was meeting with a customer, Dad and I played outside prior to making dinner. 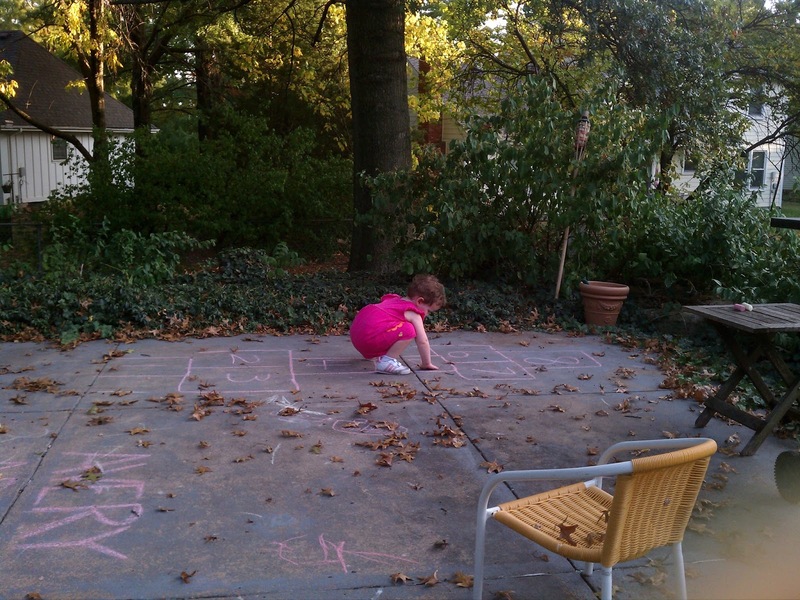 If you recall, Aunt Abby taught me how to properly hop scotch a few days prior so I wanted to take the new... board(?) out for a spin. However, mother nature got in the way and littered my court(?) full of leaves. Well, that just wouldn't do so I decided to clean the pitch(?) before hopping. Ugh, leaves are the worst.